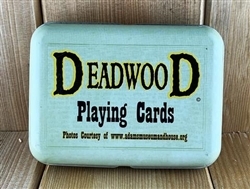 These decks are sure to sell as collector items, inexpensive souvenirs, or simply as great novelty gifts. 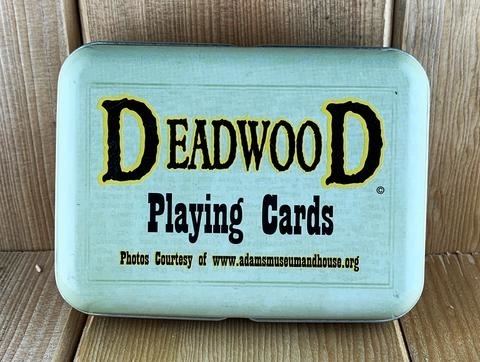 They are packed with fun historical facts and wonderful photos provided by Deadwood's Adams Museum. They even come in a decorative tin for easy storage!